You are viewing the medicine category archive. Can tablets replace AED trainers? Automated external defibrillator (AED) training is essential to any cardiopulmonary resuscitation (CPR) course. Because AEDs save lives. Instructors use AED trainers to teach defibrillator use during courses. AED trainers are dummy versions of the real AED. One of the main problems is that they are quite expensive. They are not helping to lower the barriers of AED training dissemination. And we need these skills to spread like wild fire. So can we do something about it? Can we replace these devices with something else? I sure think so. 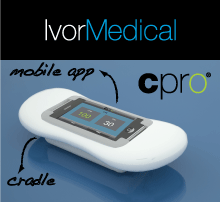 This was one of the reasons I started Ivor Medical in the first place. We have developed a complete AED training solution based on tablets and mobile phones. Today a research article has been published comparing our solution to traditional AED trainers. It was conducted during CPR courses delivered to medical students. In short, it has shown that our cost effective solution can be successfully used during CPR courses as an alternative to traditional AED trainers. Please read the full article at open source journal Signa Vitae. in-depth analysis. More results can be found on TwittER ResearchER. Download pdf version of this infographic (3.5MB). Has Amazon figured out how to deliver AEDs? Recently I wrote about the necessity to have AEDs (automated external defibrillators) everywhere, if we were to save more cardiac arrest victims. I argued that these devices need to be, and in my view can be, much cheaper than they’re now. I mean just look at this new Raspberry Pi Zero computer that costs only 5 USD! Another approach is to deliver AEDs quickly to the scene of cardiac arrest. It has been proposed to deliver them by air via drones. There are currently many obstacles to this approach, including aircraft, airspace and cardiac arrest factors. Well, Amazon has, for all the different reasons, been very aggressively tackling the aircraft factors. Amazon sells goods and delivers them. And they are no longer satisfied, because we the costumers are not satisfied, to deliver them the next day. They/we want them delivered in a matter of hours. Their solution are again drones and their new delivery service called Amazon Prime Air. Amazon has been well aware of the shortcomings of existing drones, and since they surely have money to invest + vision and drive, they have been working on their own drones. Their new drone is fully autonomous, can fly for 15 miles at speeds up to 60 mph, and what is a great breakthrough, can fly vertically like octocopter and horizontally like a plane. Rapid advances in the retail business might ultimately benefit other fields, including saving lives of cardiac arrest victims. Check out Amazon’s entertaining video about their new drone presented by Jeremy Clarkson.